Are you planning a homemade Christmas this year? Here's a great idea from Angie from A Bushel and a Peck. I simply LOVE this woman and her creativity! This homemade game is basically a combination of Monopoly, Sorry and Trivial Pursuit. She got the idea from this tutorial on Family Fun. The best part about these...they can be played again and again! They could also easily be adapted for Valentine's Day, a wedding anniversary, or a birthday gift...just in case you don't have time to complete this project before Christmas. Coming up next week... more Christmas ideas for you! I would love to create these games! The link isn't working, however. Can you please direct us as to where we can find the directions? Thanks! I aboslutely LOVE board games, this is such a fun idea. 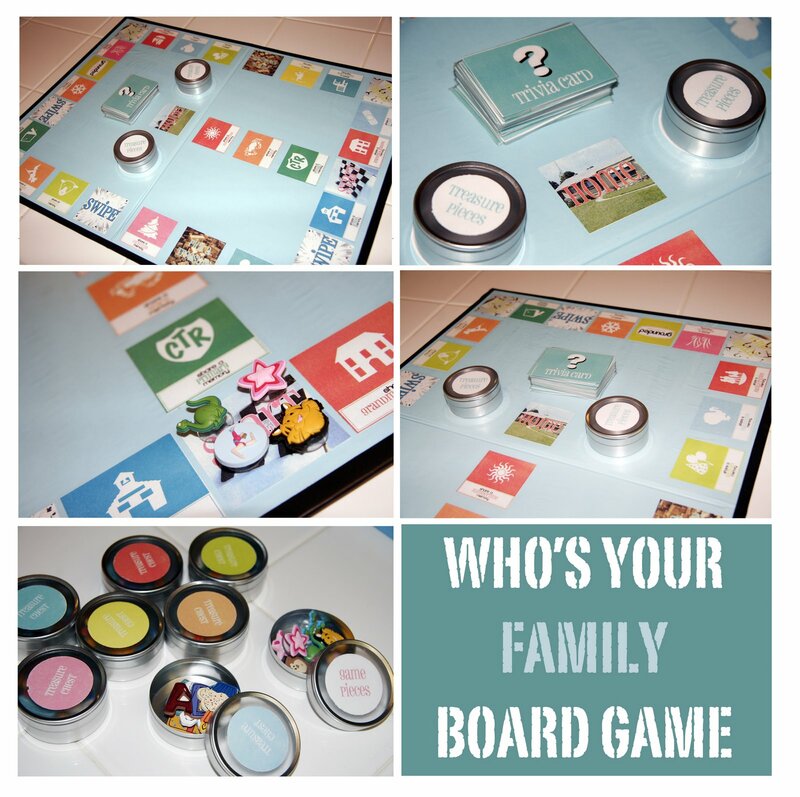 Plus, you could learn a thing or two about your family while playing these. Randi---the link is working now, sorry!! Good luck! Thanks so much! I was able to find "Memory Lane" instructions and will be happily creating this weekend. That is what they are calling a similar looking game over at Family Fun. What a good and lovely post! This really is this kind of intriguing and insightful article to see other people. Many thanks for sharing so helpful information!